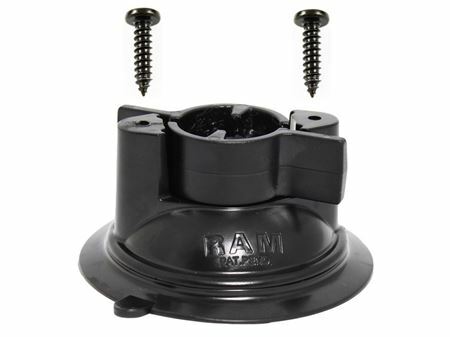 The RAP-224-1U Suction Cup Base with Twist Lock from the RAM Mount Bases collection is made of a standard-sized RAM diamond shaped end with a pair of holes, and a twist lock base with suction cup functionality. The suction cup has a 3.3” diameter, and is built with an extra strength grip applicable for all surfaces. The end is built with a pair of holes, 1.912” apart from one another. This product is compatible with the RAM-B-238 Diamond Plates Series.